Have you all started decorating for Christmas yet or still enjoying your fall decor? 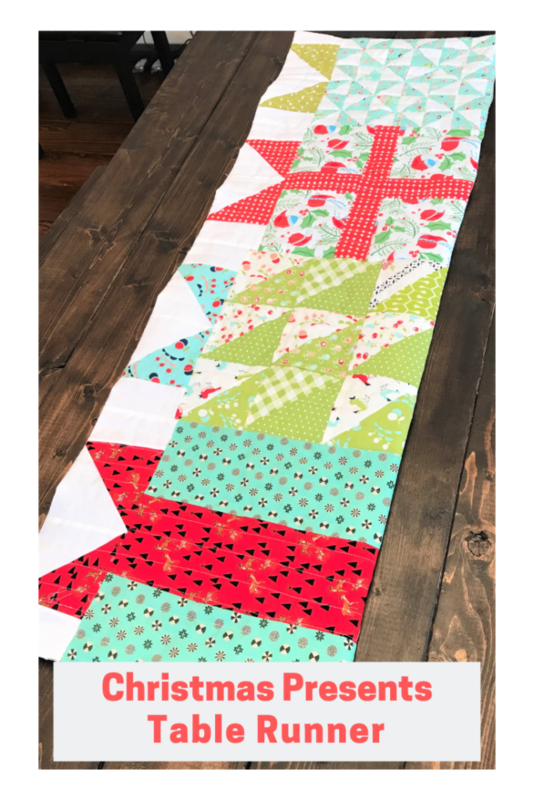 I made this really pretty Christmas Presents Table Runner Pattern this weekend and wanted to share with you all. There are quite a few varieties of this pattern online but this is my take on this classic design. You can make as many presents as you want to fit the length of your table. Mix and match your favorite Christmas fabric to create this stunning piece. You will definitely get a ton of questions on it this Christmas dinner season. For this runner, I used different scraps in my stash. They are not all Christmas designs but the green and red designs do bring out the spirit of the season. 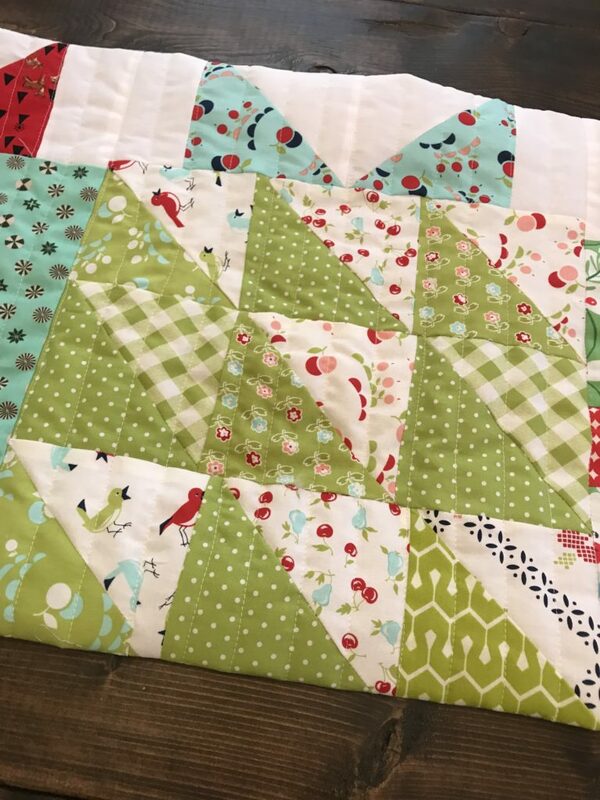 The pattern calls for 4″ squares as the main pre-cut but you can also use 5″ squares if you want to work with charm packs. The width will just be a few inches wider. I love how bright this looks against my wood dining table. I think this one is my favorite present of the bunch because it was the easiest to make and I am in love with that Santa bird fabric. It is so festive! For this quilt, I did a simple straight line quilt pattern because, again it was easy and quick to do in less than an hour. 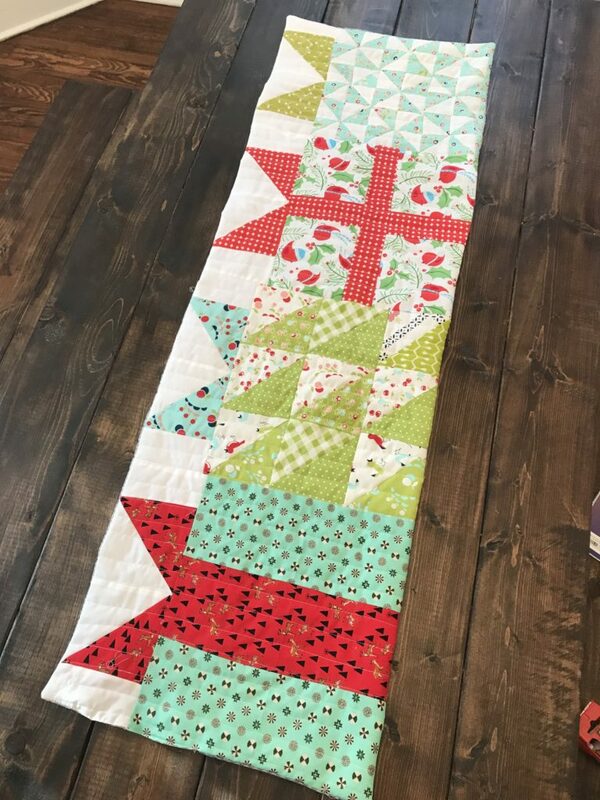 If you are looking for an even simpler runner, check out the Christmas Table Runner. For this present I used some Bonnie and Camille Handmade fabric. My HST really don’t align here guys. My daughter was not very patient during this block so I was really trying to hurry up. From a distance, it looks almost ok:-). 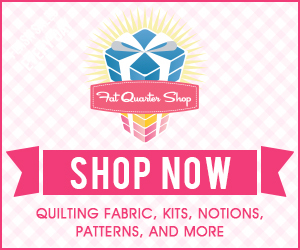 In the pattern, I did 4″ squares instead of 5″ that I used to make this block. I think it looks better with 4″ squares to be honest. I ran out of green so I made do with what I had to finish the project. This runner has a bag sack type design meaning the back is not quilted; only the batting and the top. It is not flat and looks like it is puffed up a bit with presents. I really hope you guys make this one and share with me. 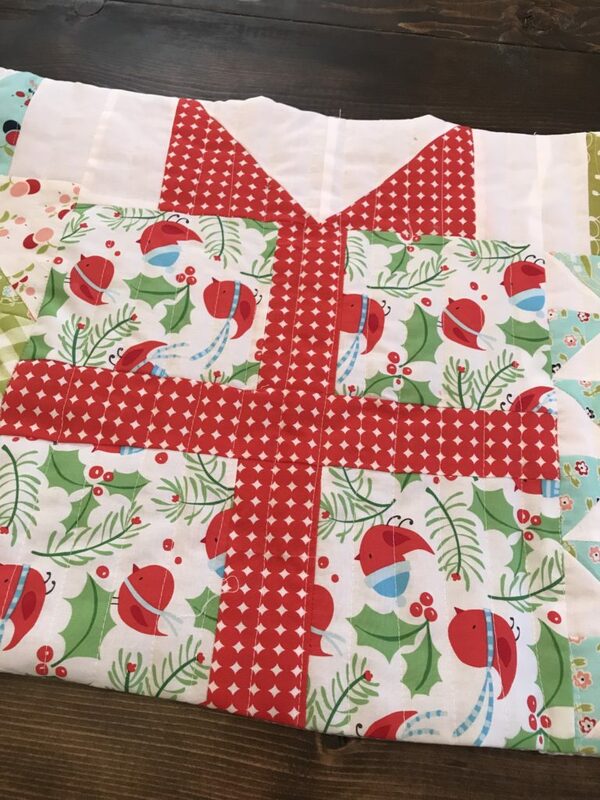 I would love to see how your Christmas Presents Table Runner turn out.